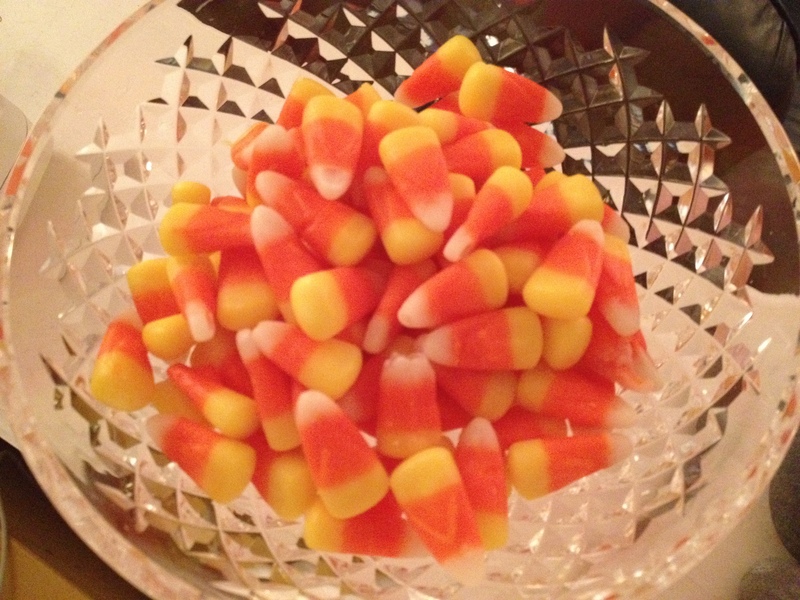 I love October. I also love it when the kids come up to visit. Saturday was overcast and windy here. The ocean has such a huge effect on our weather and sometimes storms just hang off shore and we have misty, windy days. It is part of living by the coast. I am not complaining at all – sometimes a drizzly day is perfect. We had a semi-house full on Saturday. I decided that it was a perfect day for turkey. Not just any turkey, a deep fried turkey. 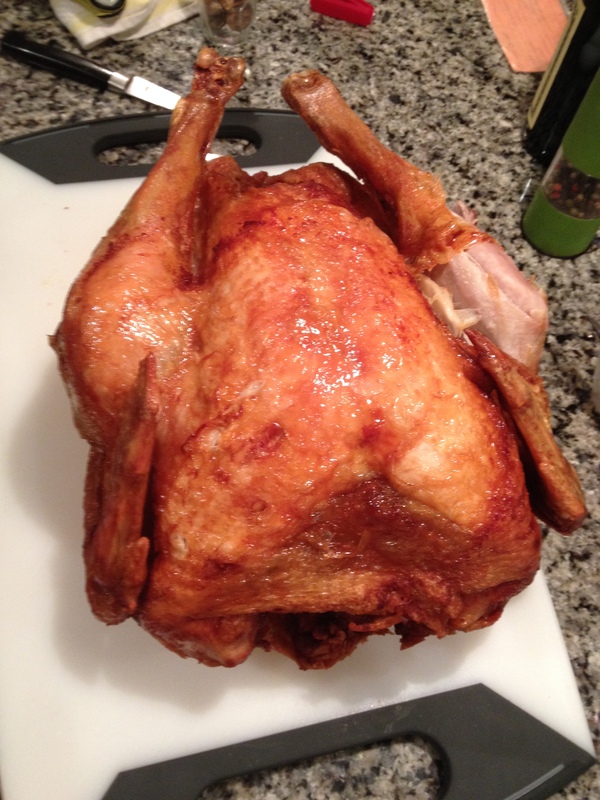 It is amazing how moist and flavorful a fried turkey is. Of course you need stuffing/dressing, mashed potatoes, roasted butternut squash and carrots with and roasted garlic, cranberry sauce (yes jellied Ocean Spray, love it) and homemade applesauce. 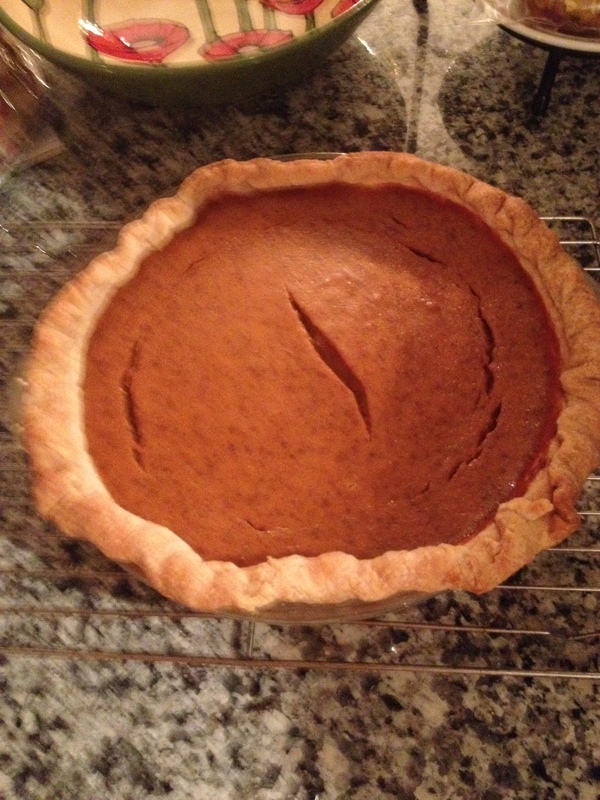 Pumpkin pie with vanilla bean ice cream. YUM! We all ate well and then settled in to watch the Red Sox game. Sadly they lost but they evened up the series last night. Yesterday was a beautiful day. Bright sunshine, clear skies perfect temperatures. 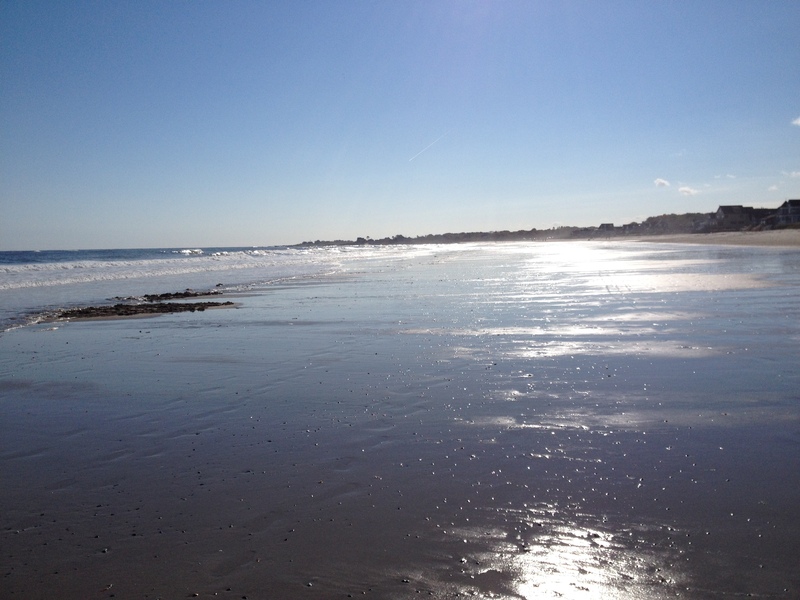 Gracie and I decided that it was the perfect day for a walk on the beach. There were a lot of other furpals on the beach. Sometimes the beach is the best place in the world to be. I can’t ever imagine living too very far from the ocean. It has such a restoring effect on me, I always feel better after breathing in the wonderful sea air. 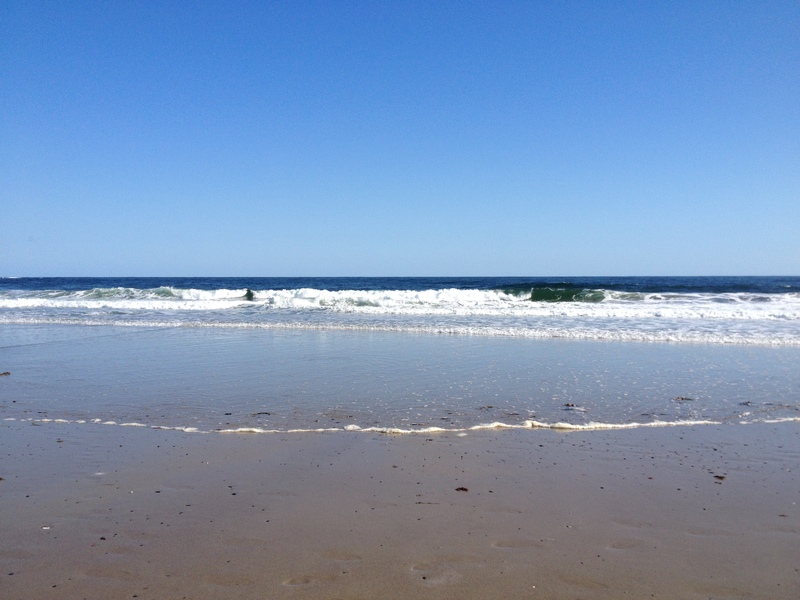 There were several surfers in the water, lots of people sitting and reading books, just a wonderful day to be outside. We spent a good amount of time looking for heartstones. 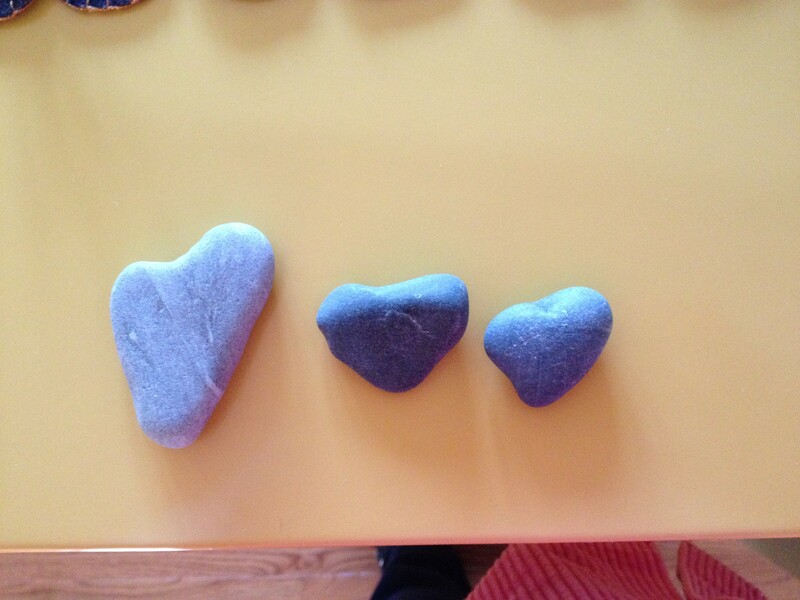 They are beach stones that are shaped like hearts. I have several heartstones that have been given to me by people that I love. When I find them I keep them if they fit in my hand, they are smooth and cool and make me think about the ocean. I also give them to people that I love so that it reminds them of good times at the beach. I hope that you had a wonderful October weekend filled with love and family and good memories. A young lady that I have known for many years just had a baby. Meredith and her husband Garrett have been friends of my son Charles, for many years. They graduated from high school together. They had a beautiful baby boy named Nolan on September 23rd. 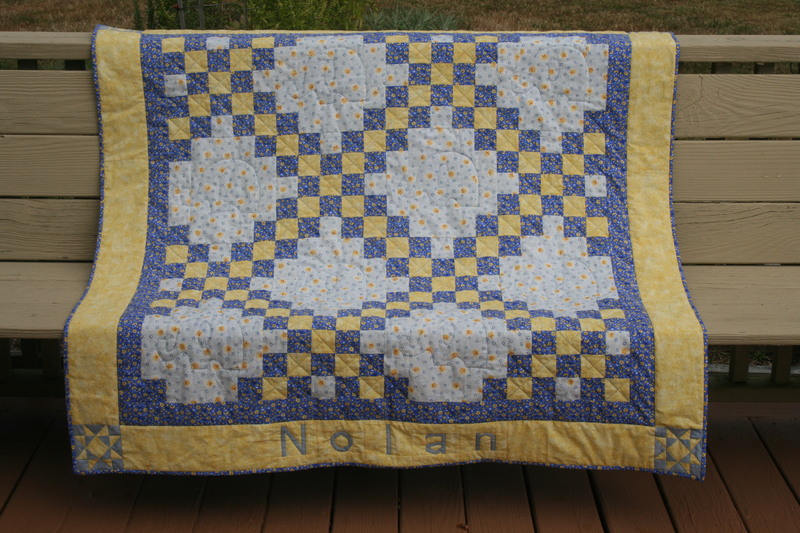 I had been working on a quilt for him since the spring. I never really expected it to take me so long, but as I worked on the quilt I kept getting new ideas about how to complete the quilt. I finished it last week – and put it in the mail on Monday. I think that Meredith should receive it in the mail today, that is why I am posting pictures of it today. 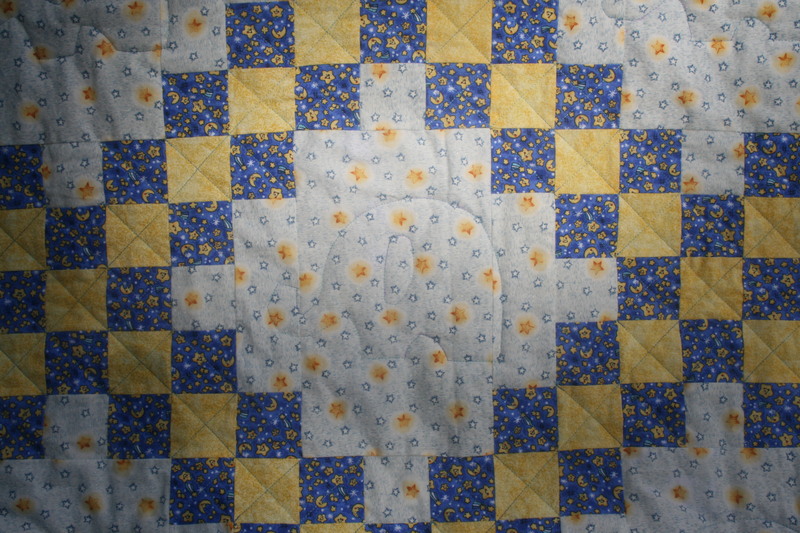 I used the Eleanor Burns Irish Chain Quilt book for the basic design of the quilt. I changed the borders and added some new details. 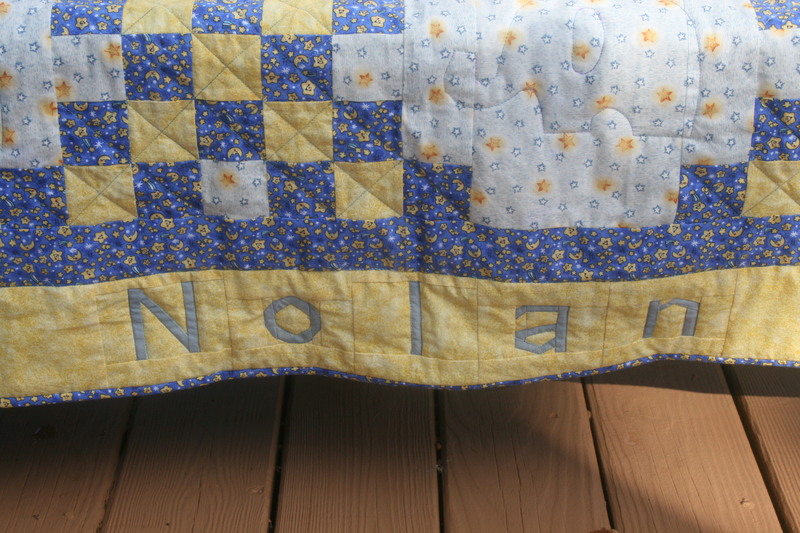 I used the Electric quilt program to make 4 1/2″ blocks for Nolan’s name and the stars in the corners. I paper pieced the blocks so that they would be very accurate. 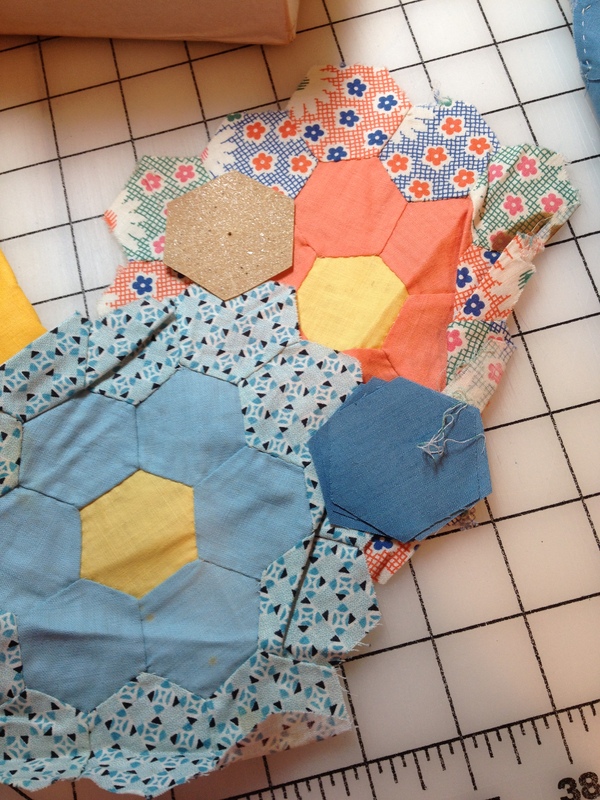 Paper piecing is a great way to have your star blocks finish with pointy points. I think that paper piecing is either something that you love or hate. For many years it frustrated me but I persisted and now I love it. Paper Piecing is a very accurate way to piece small blocks or blocks with a lot of points. So if you haven’t tried it give it a try, eventually you will love it. I machine quilted this quilt. The theme of Nolan’s nursery is Elephants so I quilted elephants in the center of the Irish Chain. I really loved working on this quilt. I love the way yellow and blue work together. It is one of my favorite color combinations. I have another quilt in the works with the same colors – but that is a potential gift so it will remain under wraps until a later date. I was able to get 2 items crossed off of my To-Do list. I completed the placemats for Meal on Wheels and the block for the Veterans quilt. Two looming deadlines that will be met. PHEW!!! Enjoy the beautiful fall weather – the trees around me are a blaze of color. I will post some pictures soon. 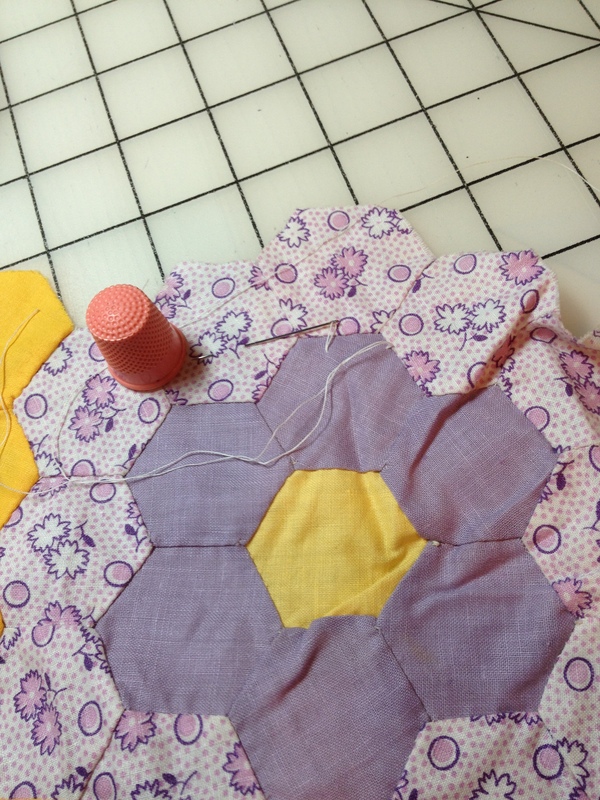 I want to make quilts…. But I have so many things that I need to get done. The things that need to be finished are not fun things – I don’t necessarily feel like I will be creating anything. I will however feel a sense of relief and be happy that I have finished these things when I am done. 1. Placemats to donate to Meals on Wheels. 2. A block for a quilt to donate to the Veterans. Sometimes listing what you need to do makes it less of a chore. As I look at this list (there are a few other things that I should add to the list) it doesn’t look so daunting. So tonight I am going to get at least 2 of these things done. I love the quilting group that I am a member of and I love the fact that we do so many wonderful things for groups who are less fortunate than we are. I get together with a bunch of ladies once a month to work on hand work – we all have projects that we are working on. Stitching down a binding, working on hand quilting, doing embroidery work, and several of us are working on Hexies. One of my friends gave me a wonderful gift the last time we got together. It was given to her by a woman who was cleaning things out. 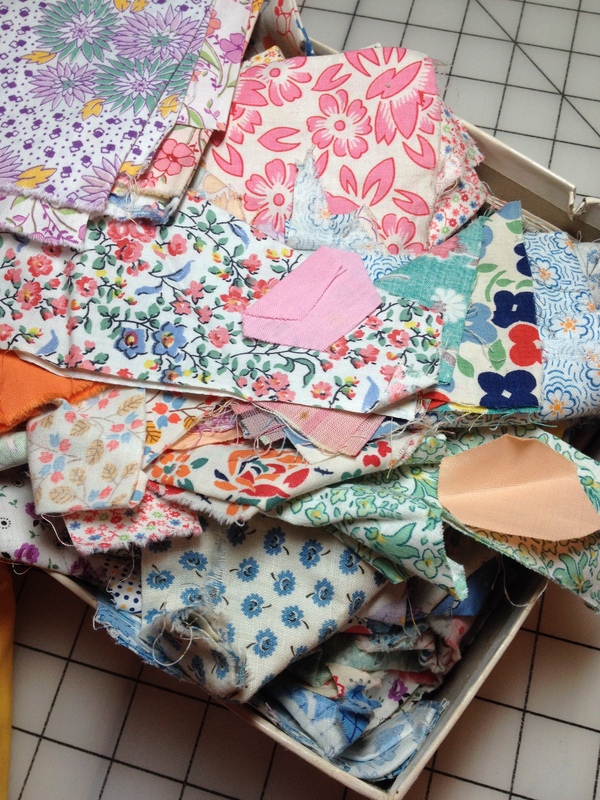 It is a box of wonderful 30’s fabric and the start of a sweet little hexie quilt. 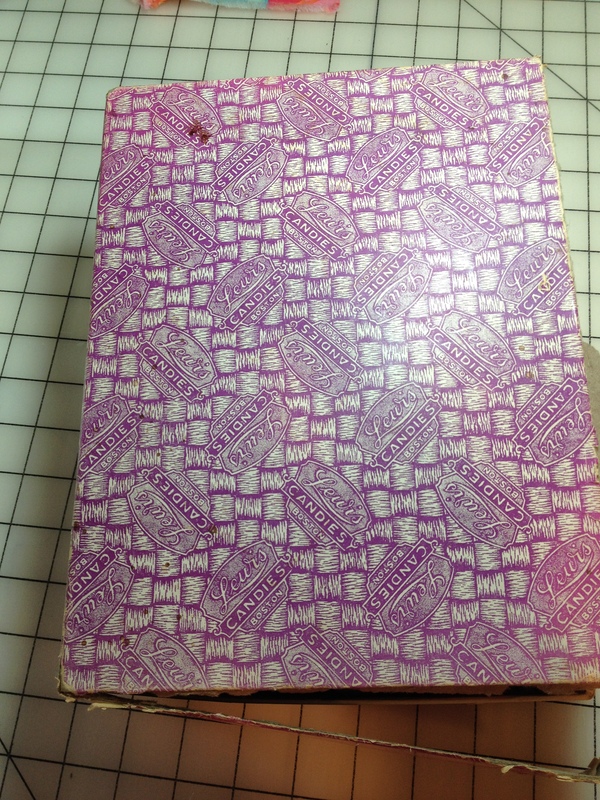 I am overwhelmed with this wonderful box of quilting history. The previous owner even left her thimble and a threaded needle. There is a template in the box made out of sandpaper. This was such a wonderful unexpected gift and treasure. 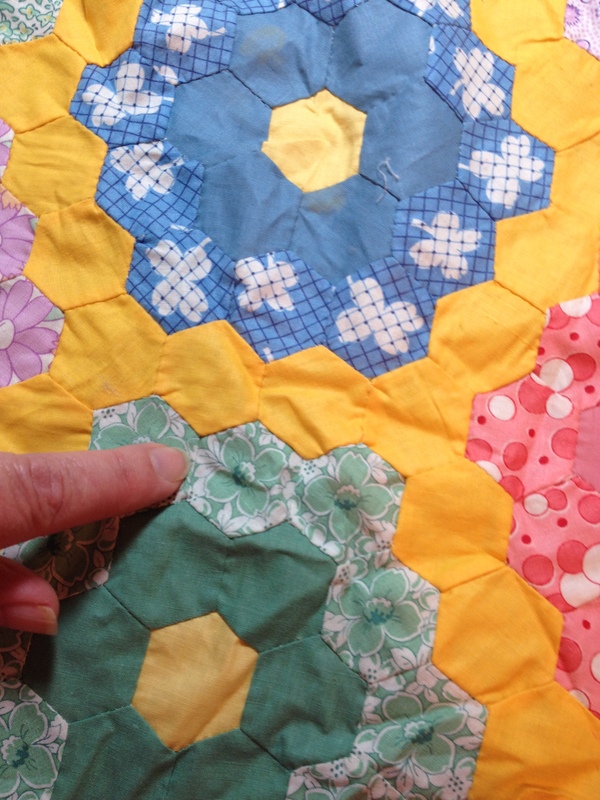 I will work on this over the next few years – I know it will be years because these hexies are little, smaller than anything else that I have worked with. So this wonderful box will be put on a shelf for a bit and then I will dig into it and hopefully make the original owner proud of my work. I will send you pictures of the items on the list as I get them done. Tonight I will dig into the “to-do list” and get it started. I am looking forward to the feeling of accomplishment when they are done I will show you some pictures of them. Go Red Sox!!! the game will be on in the background tonight.